any species, including its seeds, eggs, spores, or other biological material capable of propagating that species, that is not native to that ecosystem; and whose introduction does or is likely to cause economic or environmental harm or harm to human health. water and puts oxygen back in. 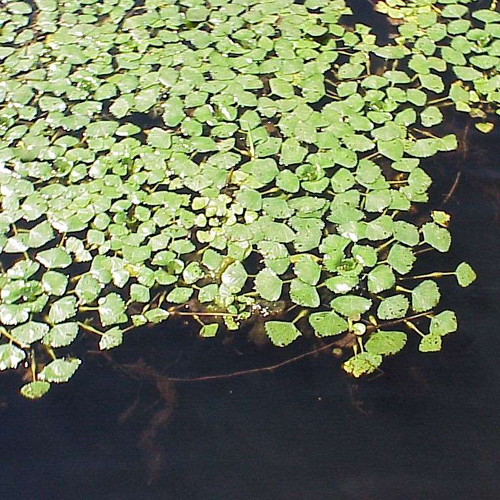 invasives such as Egeria densa and milfoil. even fish and other aquatic life, to survive. Eradication (e rad’ikat’shun):To tear up by the roots; to get rid of as if by tearing up by the roots. for building the decks, cabins, etc. unwanted pests to hitchhike from one lake, pond or river to another. 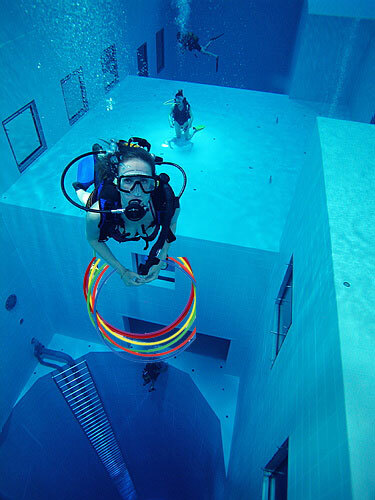 activities, such as swimming or boating, virtually impossible. plant but in different flowers. continent prior to European settlement. a new place or new type of habitat where it was not previously found. acidic, with a pH of 1.
invaders from lakes, ponds and rivers from those warmer climates. with shallow water or have soil saturated with moisture. That's right aquaculture fans! 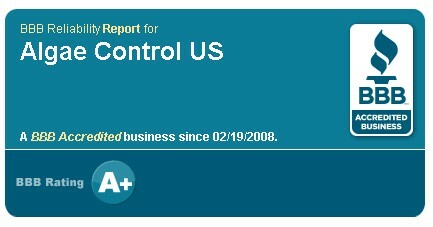 South Santee Aquaculture aka AlgaeControl.US received a phenomenal A+ rating by the Better Business Bureau. See for yourself under "fishery consultants" on the BBB website. What does this mean? Thank you for making us so valuable to your environment! If you'd like to rate us on Google Places, feel free to stop by our new Google Place Page and drop us a review or find us on our new Google Map! Our good friends over at Team Aquafix make some pretty amazing products for cleaning wastewater, eliminating undesirables from your pond and lake and making any body of water cleaner and easier to maintain. 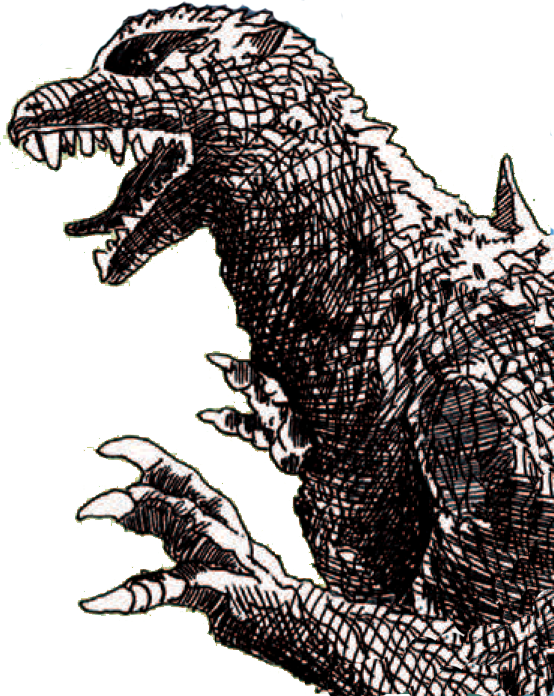 One such invention of theirs is the almighty Pondzilla, mentioned on their blog once before. Pondzilla happens to also be available in our toolbar store below or on our products page with Free Shipping anywhere in the United States! 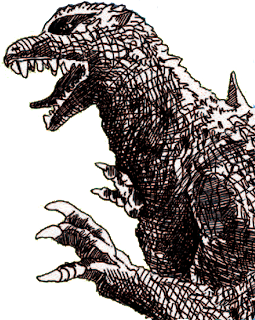 PondZilla is an catalyst which helps to polish a lake or pond. Pondzilla works by reacting with dead plant matter in a water body and converting it to simple sugars. These sugars are then uptaken by bacteria. 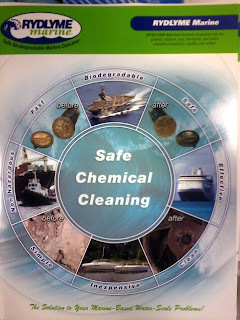 This process helps to polish a lake, clean the water column and degrade muck. 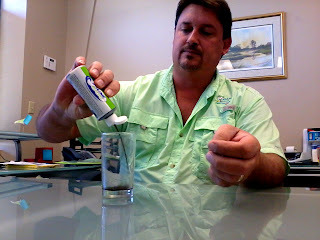 PondZilla can be applied with herbicides. 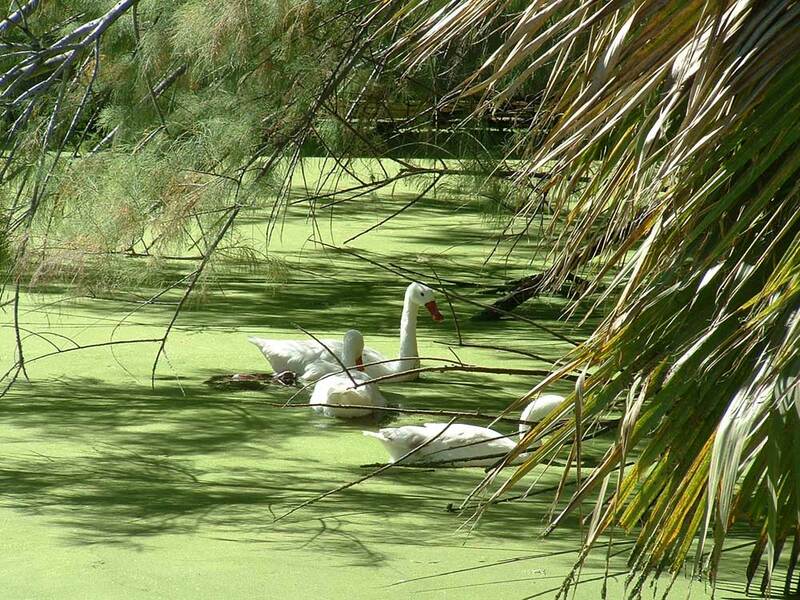 The primary problem with duckweed is the waxy outer coating which enables it to float and by floating as a mass block sunlight from reaching the bottom of your pond. No sunlight, no photosynthesis, no growth below, so it kills what is below it. It also reduces the oxygen in the water aiding the anaerobic decomposition of the dying biomass and other muck on the bottom. This is what causes the bad smells. These type of bacteria also release phosphates from the dying biomass, which helps the duckweed grow even faster! That waxy coating inhibits a lot of herbicides from being effective requiring multiple applications and long term concentrations in the water to be effective. If the wax can be removed to give a pathway for the herbicides to enter the plant, even simple herbicides like liquid copper (EarthTec®) can work because they are effective once they get into the interior of the leaf and to the chlorophyll. However this was a problem in the past due to the reasons stated above-ie getting the herbicide through the waxy coating (which can grow back almost as fast as you remove it) and into the plant itself. Problem Solved! Introducing eLemna-8, an invention by fishery biologist Kevin Hutchinson and chemical engineer George Hutchinson of South Santee Aquaculture and AlgaeControl.US. bacterial decomposition of aquatic plants and algae. 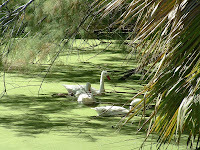 Shakespeare referred to "duckweed" as "Green mantle of the standing pool." 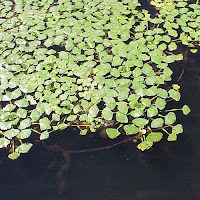 Duckweeds (otherwise known as Lemna minor) are plants that are well-known to everybody, and consequently very few persons know anything of them. This is a paradox; but they are so common and so small that the average man or woman is content to know them in the aggregate, and cannot condescend to a more intimate acquaintance with individuals, or with the different species, yet like many other small things - "unconsidered trifles" - they are very interesting to the botanist; for these are among the smallest and simplest of the flowering plants. Taking up two or three plants from one pond and comparing them with some from another piece of water, we shall probably find a difference in them; but they are all possessed of a more or less flattened green body that floats on the water, and which we shall be inclined to call a leaf. It is not a leaf, however, but a plant that produces no leaves, though it has roots and flowers. To be more accurate we will call it a frond, from whose under-surface there goes down one or more simple unbranched roots, and in clefts of whose margin are simple flowers. 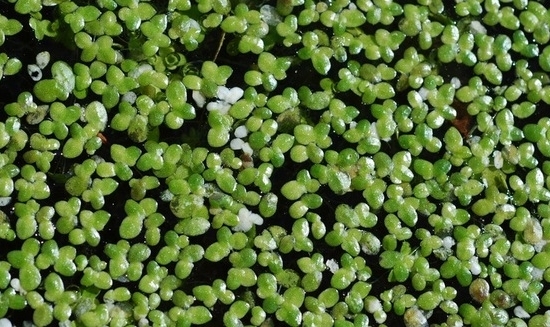 Lemna minor (Common Duckweed or ) is a species of Lemna (duckweed) with a subcosmopolitan distribution, native throughout most of Africa, Asia, Europe and North America, occurring everywhere that freshwater ponds and slow-moving streams occur, except for arctic and subarctic climates. It is not reported as native in Australasia or South America, though is naturalized there. eLemna-8 is able to not only penetrate the waxy coating of duckweed (so that algaecides such as EarthTec® can do their work to the interior of the plant, it will actually strip the plant of the wax and allow the plant to die gracefully, floating to the bottom of the pond to become food and biomatter for other aquatic life to gain nutrients from. So in practice, using eLemna-8 in combination with EarthTec® you are able to accelerate the natural bacterial decomposition of aquatic plants and algae. 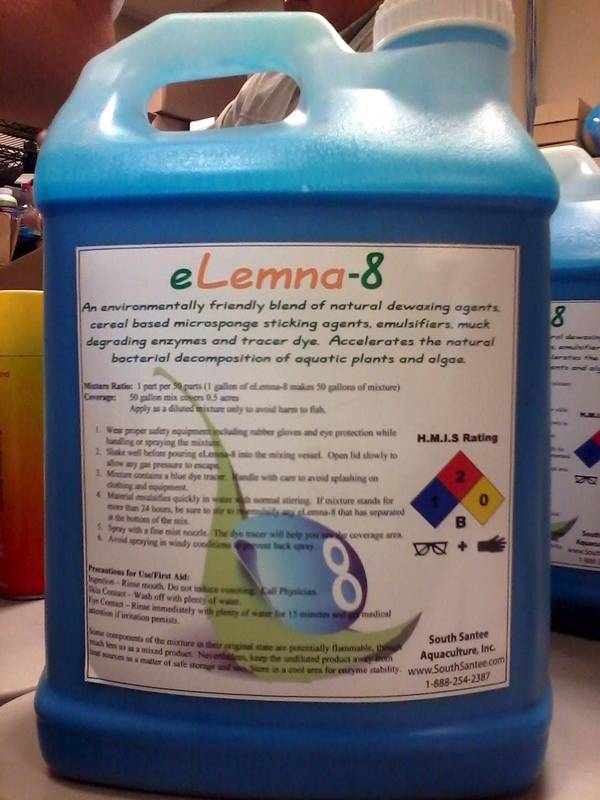 Below you will find a few helpful documents about eLemna-8, including a MSDS sheet and seller information. You may also purchase eLemna-8 from our store in the blog toolbar below. Watch this test video below that we made which shows just how powerful Rydlyme Marine is at eating away shells and other crusted marine growth which forms on the bottom of boats and other marine vessels. Also added to our SouthSanteeTV channel on Youtube. systems. This safe and simple solution effectively dissolves rock-like scale deposits that contaminate your water-cooled marine equipment. RYDLYME Marine can be used on all types of vessels including workboats, cruise ships, mega yachts, freighters, and recreational boats. 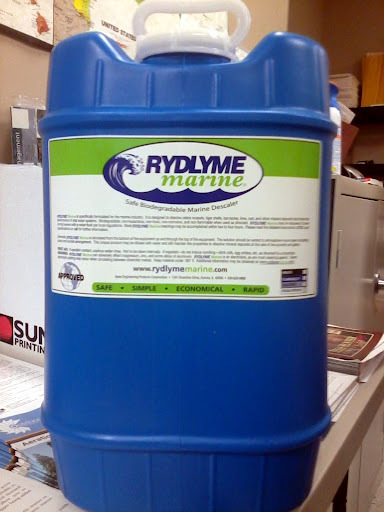 With RYDLYME Marine you can clean-in-place to reduce workload and save valuable maintenance dollars. Our innovative product has no waste disposal problems; it is biodegradable in any concentration. RYDLYME Marine can help save you money by removing unwanted marine deposits on heat exchangers, engine cooling systems, condensers and many more applications where fouling is a problem. Watch as Rydlyme eats this Shell for Lunch! You can also contact us through the toolbar at the bottom of this page-and for that matter, order Rydlyme from the store in the toolbar. Rydlyme comes in various sizes, depending on the type of application you are wanting to use it for. You have the small tester size above and this 30 gallon Container below.